Found in the San Polo district, within minutes of the Rialto Bridge and St Mark’s square, this 16-century Grand Canal-side palazzo exudes classic Venetian charm and splendor. An intimate setting with only 24 rooms on offer and with a restaurant offering views over the Grand Canal, there are few places as romantic in this wonderful city. 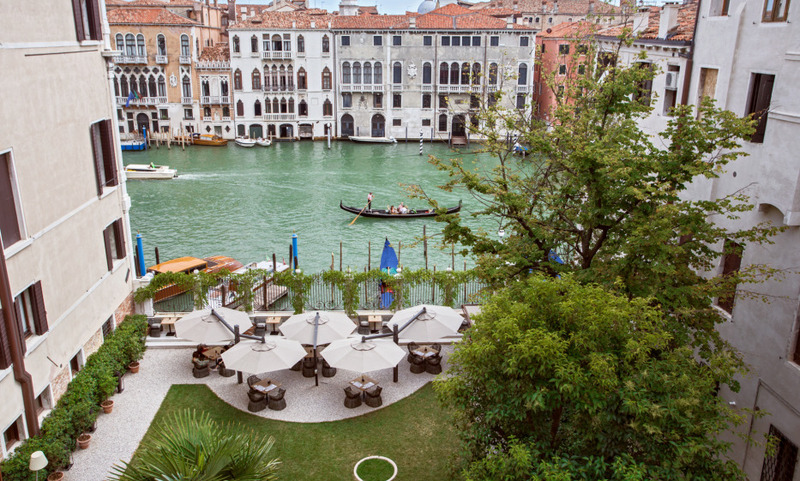 The wonderful Canal Grande garden, the ideal place for a breakfast or enjoying the venetian weather. The beautiful "Altana", the hotel's terrace overlooking the roofs of Venice, ideal for the aperitivo! Sail on the hotel's private boat at sunset and discover the many lagoon's treasures.